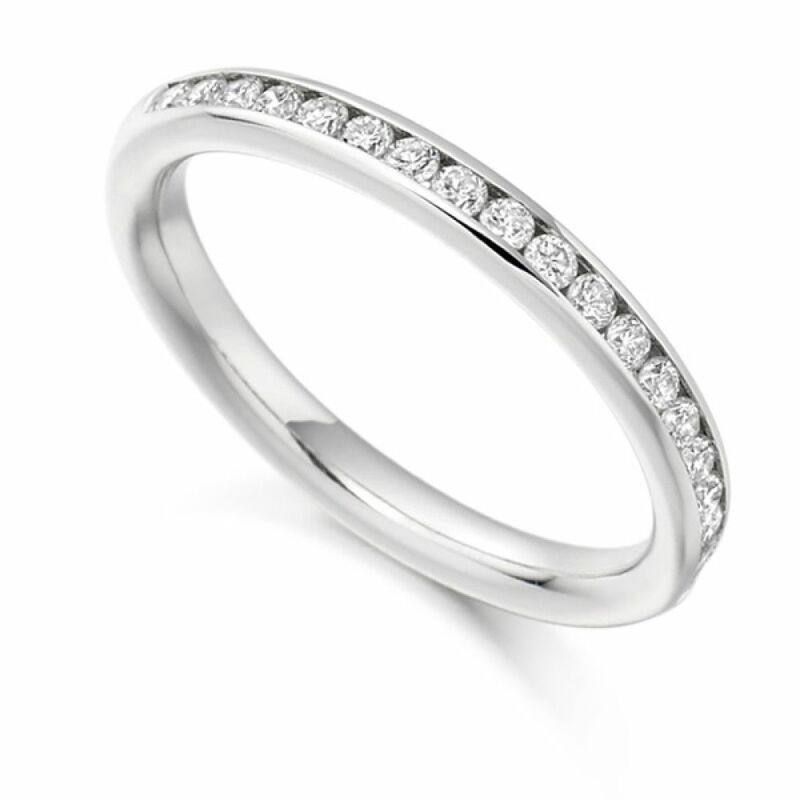 Classic half diamond eternity ring, channel set with round brilliant cut diamonds across a 2.5mm wide ring design. Channel set with 0.33cts Diamonds within a 2.55mm width band. Meticulously set within this ring are Round Brilliant cut Diamonds in F Colour and VS1 Clarity. Offering a secure and comfortable way to wear a Diamond set Wedding Ring. We offer a fully insured courier delivery to your door with a valuation for jewellery insurance purposes and a full 60 day returns policy. Available in 18ct Yellow Gold, 18ct White Gold, 950 Platinum and 950 Palladium and presented in our exquisite packaging. We can craft your ring for you within three to four weeks and can deliver from the UK to many Worldwide destinations with shipping and taxes considered.